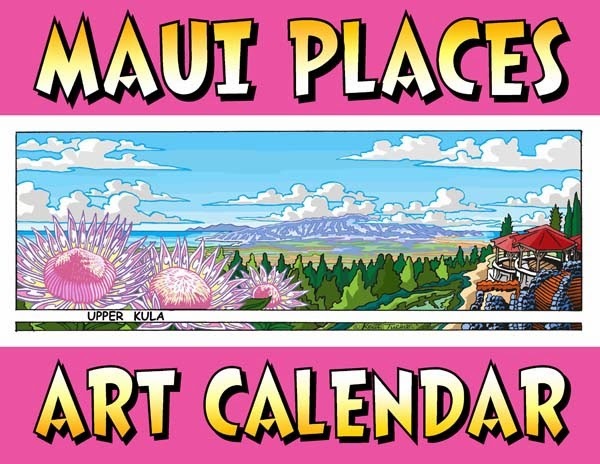 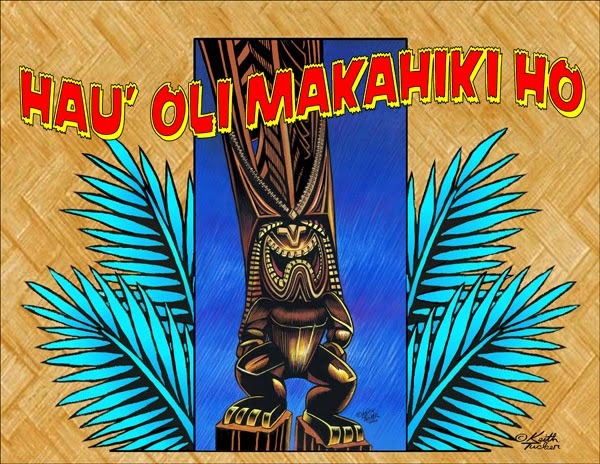 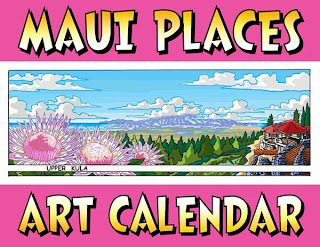 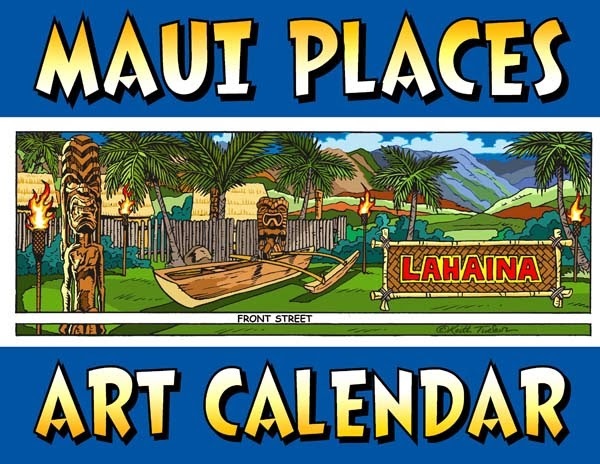 "HAU' OLI MAKAHIKI HO" MEANS "HAPPY NEW YEAR" IN HAWAIIAN. THE "MAKAHIKI" IN HAWAIIAN HISTORY WAS A FOUR MONTH TIME OF PEACE AND PROSPERITY, WHEN WAR WAS 'KAPU' ( FORBIDDEN ) AND WORK WAS MEANT TO BE LIGHT. IT WAS A TIME FOR CELEBRATING THE HARVEST AND "LONO" THE HAWAIIAN TIKI GOD OF FERTILITY AND RAIN. 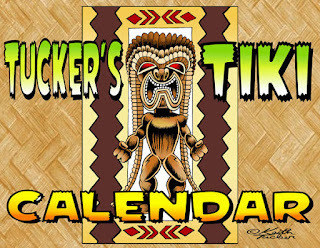 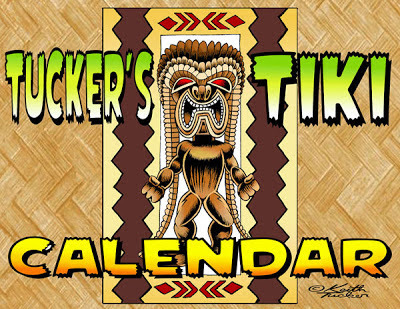 TODAY THE MAKAHIKI IS STILL CELEBRATED WITH FESTIVALS APPROXIMATELY BETWEEN THE MONTHS OF OCTOBER TO FEBRUARY. 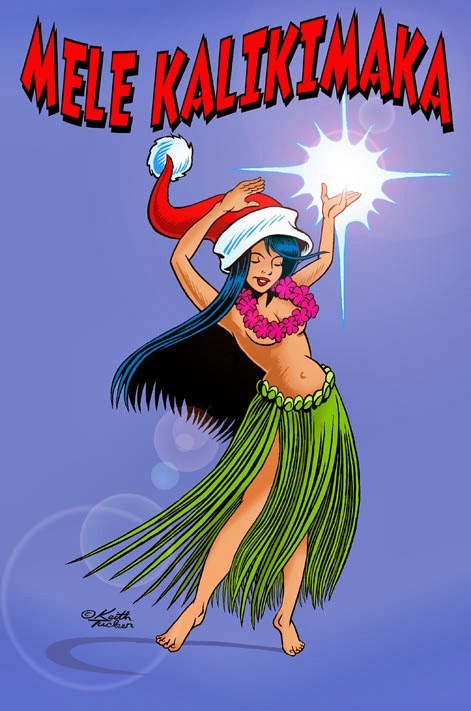 MELE KALIKIMAKA IS THE HAWAIIAN WORD THAT MEANS MERRY CHRISTMAS. 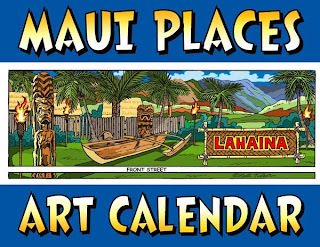 SINCE THE MISSIONARIES THAT ARRIVED IN HAWAII IN 1820 WERE THE FIRST TO INTRODUCE CHRISTMAS TO THE HAWAIIANS. MERRY CHRISTMAS WAS DIFFICULT FOR THE HAWAIIANS TO PRONOUNCE, MELE KALIKIMAKA ROLLED MORE EASILY OFF THEIR TONGUES. 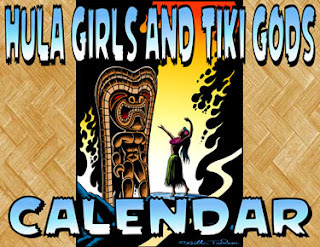 IN 1950, BING CROSBY & THE ANDREW SISTERS TURNED IT INTO A HIT SONG. 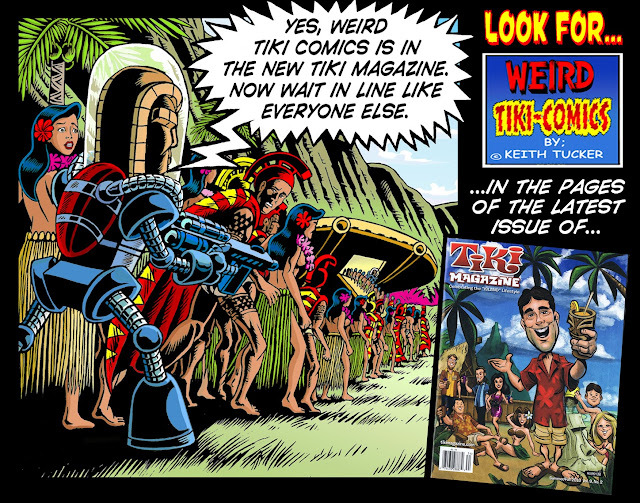 EVER SINCE THE NEW INCARNATION OF TIKI MAGAZINE, WEIRD TIKI COMICS HAS HAD AN INSTALLMENT! 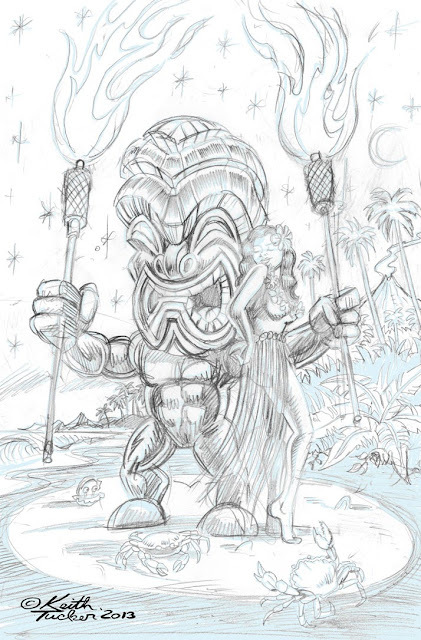 CHECK OUT TIKI MAGAZINE AND FIND OUT, "WHAT IF ANCIENT POLYNESIA ACTUALLY WAS INVADED BY TIKI'S FROM OUTER SPACE! SOME REAL RETRO COMICS FUN BY YOUR'S TRULY, KEITH TUCKER. 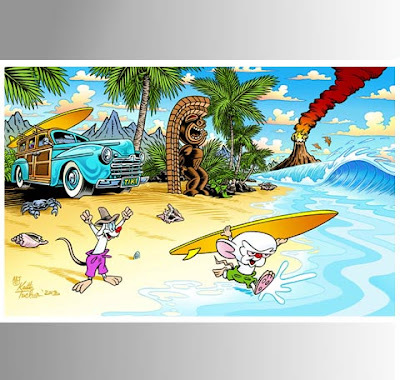 Way back in the nineties I was a storyboard artist on "Pinky and The Brain". One of my episodes was "Beach Blanket Brain". 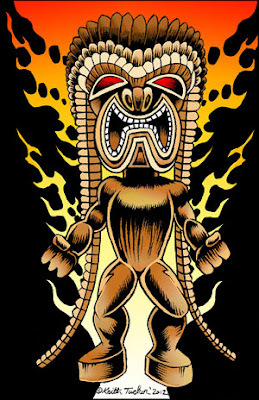 These are the outfits they wore in that episode where brain takes up surfing. 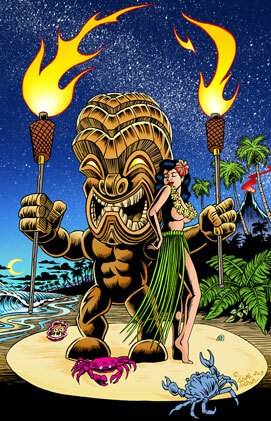 I CALL "TIKI TORCH MAN AND WAHINE!" IN THE EARLY MORNING HOURS AS THE MOON SETS IN THE PACIFIC OCEAN, AND GENTLE TRADE WINDS BLOW, TIKI MAN AND HIS HULA GAL FRIEND LIGHT UP THE SHORE FOR WHERE THE CRABS AND CRUSTACEANS PLAY. WIZARD WORLD'S PORTLAND COMIC CON WAS A BLAST! 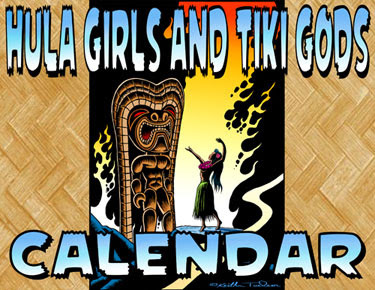 IN SEATTLE, WASHINGTON MARCH 1-3. 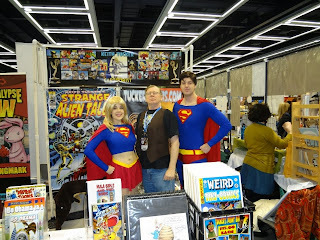 I WAS THERE IN THE ARTISTS ALLEY. 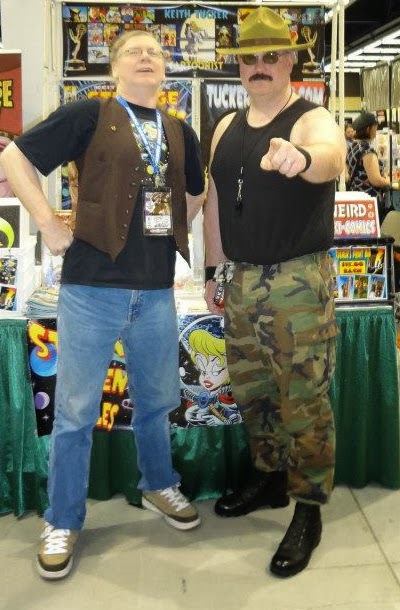 AND MANY OF YOU DROPPED BY AND SAID HI.. 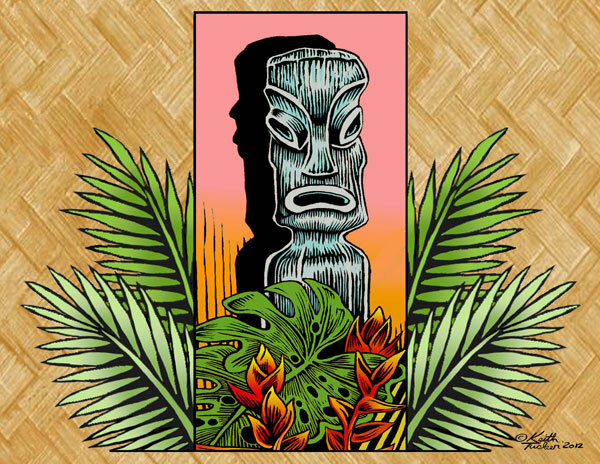 I HAD A FEW NEW TROPICALLY TIKI PRINTS TO SHOW AND SELL. I'LL BE AT TWO COMIC BOOK CONVENTIONS IN THIS PRE-SPRING CONVENTION SEASON. 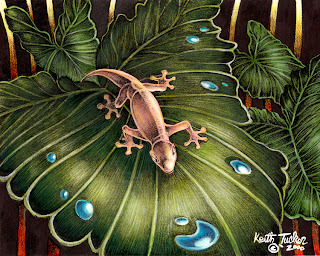 I HOPE YOU CAN COME BY AND CHECK OUT MY COLLECTION OF ORIGINAL ART, PRINTS AND SKETCHBOOKS FOR SALE.